Display flowers in this decorative vase that flaunts a beautiful design. The aesthetic wooden finish enhances its appeal that will perfectly complement the interiors of your living room. You can even use it to liven up the entry of your workspace. 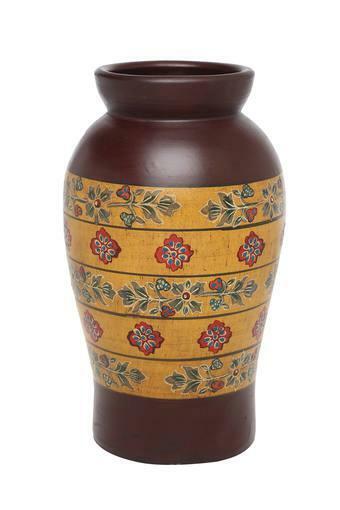 Pick this wooden finish flower vase by Adara that is designed to bowl you over with its striking design.